A quality restaurant menu design is a combination of psychology, strategy, art direction and understanding your restaurant. Your menu should be designed to highlight your most lucrative items and drive guests to order meals that will get them coming back for more. This FREE 34-page, "Ultimate Guide to Menu Design" goes into depth, unveiling industry secrets about how to create, design and optimize your restaurant menu to maximize your profits. You can say good-bye to your cluttered, outdated, or unappealing menu and say hello to a refreshed, organized, informative, and dynamic menu design! Watch the exclusive look below. >>Apply the right techniques and redesign your menu today! Download your FREE Menu Design Guide here! Do not list your prices in a column down the right side of your menu or use dollar signs. Placing your prices in a column causes customers to focus on price, not your food, and could lead them to choose the cheapest item in the column. Psychologist, Barry Schwartz argues that when your menu is overpowered by a lengthy menu selection, you are actually overwhelming the guest. Too many decisions in too little time. "The more options you have the more anxiety we feel." Your menu holds a significant amount of value. 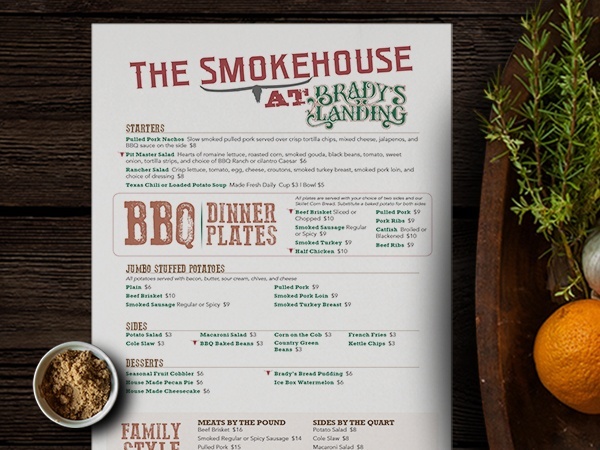 Great menu design is more than just beautiful photos, prices, and a list of menu items. It's the first impression your customers receive once they are seated and a representation of your establishment as a whole. Customers hold expectations prior to trying out your dish and you want to live up to those expectations by providing them a menu that is easy to digest. Studies have shown by redesigning your menu, you can increase sales by up to 10 percent. With this guide, your new menu will not only add to an improved overall dining experience, but also help you boost sales, improving your bottom line. Your menu is one of the key ingredients to your restaurant's success! Working with an array of restaurants for over 10 years, Kulture Konnect understands this firsthand! We take pride in creating innovative design and building lasting relationships with clients. If you are seeking restaurant marketing and design professionals contact us here with any questions. Learn more about who we've worked with here. Visit the Kulture Konnect portfolio to get a glimpse of our work here. Apply the right techniques and successfully redesign your menu today! Download your FREE Menu Design E-Book here!